To clarify, I did not mean to suggest that Habermas is not a serious scholar on the topic of religion. My point, rather, is that he does not seek to investigate how “religion” and related terms (e.g., the sacred, myth, etc.) are socially constructed in the manner of scholars like J.Z. Smith or Bruce Lincoln. While I take this to be an important task (i.e., to reflect on the concepts we are using), equally important is the construction of theories based on empirical data that can be put to use in the service of describing and explaining a wide range of phenomenon that falls under the taxon “religion.” Critique will happen as a matter of course and Habermas’ theory of religion is certainly not beyond the pale—a point that I will return to in my final post. Habermas defines religion along the lines of traditional worldviews or “strong” traditions that raise particular claims to truth based on things like moral principles and cosmological ideas about salvation that are not generalizable nor easily accessible to those who don’t buy into them. In this sense, religion is seen to function as both a source of meaning for individuals/groups that helps to bond communities together (i.e., it is a form of solidarity) as well as a form of authority and dogma that serves particular interests and often comes into conflict with things like scientific reason and opposing cultural or ethical worldviews. Since, for Habermas, modernity is characterized by what John Rawls has termed “the fact of pluralism”, one of the tasks of critical theory is to think about how knowledge is being differentiated (e.g., science, morality, art) and how this, in turn, relates to particular human interests. Turning in this post to Habermas’s sociology of religion, I will briefly outline how he has attempted to reconstruct theories of rationalization and secularization and point to how this has informed his political and philosophical theory, which I will address separately in parts 3 and 4. 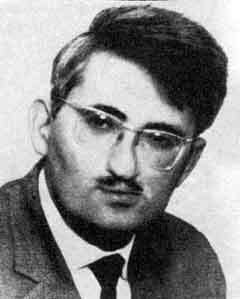 Since the early 1970s, Habermas has attempted to transform historical materialism into a theory of social evolution, where theories of rationalization and secularization are reconstructed to show how they function in different societies. Following Weber, Durkheim and other sociologists, Habermas agrees with the premise that rationalization lead to the “disenchantment of the world” and to the privatization of religion, though he does not believe that some secular form of social solidarity will some day come to replace it. His concern, then as now, is not in finding some ultimate truth but in grasping the dialectic of reason within society, tracing its progressive elements that allow us to better deal with “the fact of pluralism” (e.g., the separation of law from morality), while critiquing its distorting effects that create pathologies of reason (e.g., closed religious or intellectual circles, state bureaucracies, capitalism, etc.). It is important to note here that “reason” for Habermas is not equivalent to science or logic, but rather to modes of interaction that look for their justification through procedures that enable the maximum inclusion of participants in a non-coercive and self-reflexive fashion—hence his interest in the notion of deliberative democracy and the potentials of the public sphere. Until the late 1980s, Habermas followed most leading sociologists in assuming that religion would eventually fade into the background. Since the events of September 11, 2001, he has begun to seriously rethink these premises by looking at what secularism means within post-secular societies. Among other things, this concept suggests a movement away from such dichotomies as “faith vs. knowledge” or “naturalism vs. religion,” and rejects the idea that they are mutually exclusive forces doing battle in a fight to the death. For example, in a recent essay entitled, “What is Meant by ‘Post-Secular’ Society: A Discussion on Islam in Europe,” contained in his book Europe: The Faltering Project, (2009) Habermas looks at a debate amongst European intellectuals over “multiculturalism” vs. laïcité, which, for him, cuts to the core of what terms like rationalization and secularization have come to represent in the Western world. On one side he observes how the “multiculturalists” combine a cultural relativism toward competing worldviews with a critique of reason, while the “secularists” on the other side defend a hard naturalism that is hostile toward all forms of religion. In both cases, the problem for Habermas is a failure to recognize what secularism means in post-secular societies, which requires an awareness that “living in a secular society is no longer bound up with the certainty that cultural and social modernization can advance only at the cost of the public influence and personal relevance of religion.” (64) In this sense, Habermas wants to shift how terms like secularization and modernization are conceived, both in social theory and in the public sphere. At the heart of this problem is how to square the circle of the demand for equal citizenship and rights with respect for cultural differences, which has been exacerbated in recent years by the perception—partly real, partly media-generated—of things like missionary expansion, the increased political use of religious extremism, and the immigration of ‘guest workers’ and refuges. Whatever merits still hold for the old secularization thesis for advanced industrial societies, Habermas finds that it is inadequate to address these new empirical realities and must be rethought in light of changing conditions. In my next post I will address how Habermas tries to reconcile these tensions on the political level, followed by a look at his philosophy of religion, which, controversially, suggests a new role for “religion” within the modern world. This entry was posted in Matt Sheedy, Politics and Religion, Religion and Society, Religion and Theory, Theory and Method, Uncategorized and tagged Habermas, modernization, pluralism, secularization, Sociology of Religion. Bookmark the permalink. “Habermas defines religion along the lines of traditional worldviews or “strong” traditions that raise particular claims to truth based on things like moral principles and cosmological ideas about salvation that are not generalizable nor easily accessible to those who don’t buy into them.”. Where did you find this? What is the source? I’m looking for Habermas definition on religion, and I can not find it. Many thanks.